Interesting Times Bureau is the main project developed by the Non-Profit organisation Asociatia Coolturala “Noua Ne Pasa!” that promotes urban arts, local history and businesses. The name is a tribute to the great Terry Pratchett, who ‘discovered’ this wise Chinese curse: ” May you live in interesting times”. Our goal is to create tours that are both learning experiences and unadulterated fun. 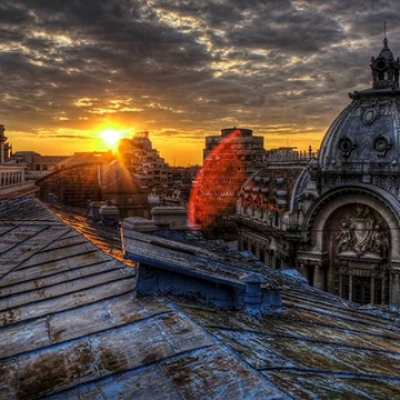 We have gathered a great mix of local street artists, musicians, historians, photographers and urban explorers so that you could see Bucharest through their eyes and, we hope, fall in love with the city and its people. Should we succeed or fail in any of that, we have you, our beloved travelling partners, to decide (and rate or rant on Tripadvisor). That is why the payment for our services is done always at the end of the tour. If you are not 100% satisfied, the tour is on us. If you have any questions about us, our tours, general booking enquiries or you would just like to say hi, please use the contact details below or find us on facebook. We don’t have a FAQ page as we like to keep things close and personal.